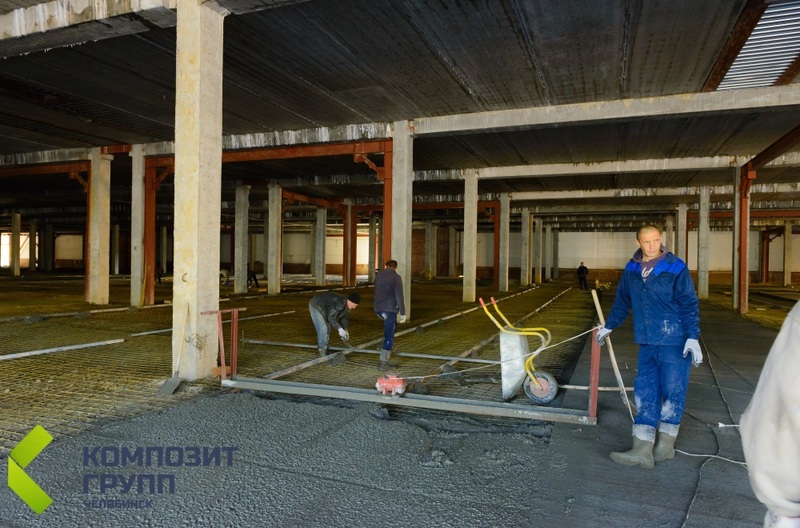 Rebar, Composite Fiberglass Rebar, production and sales of reinforcing bars, buy at a favourable price at «Composite Group Chelyabinsk». 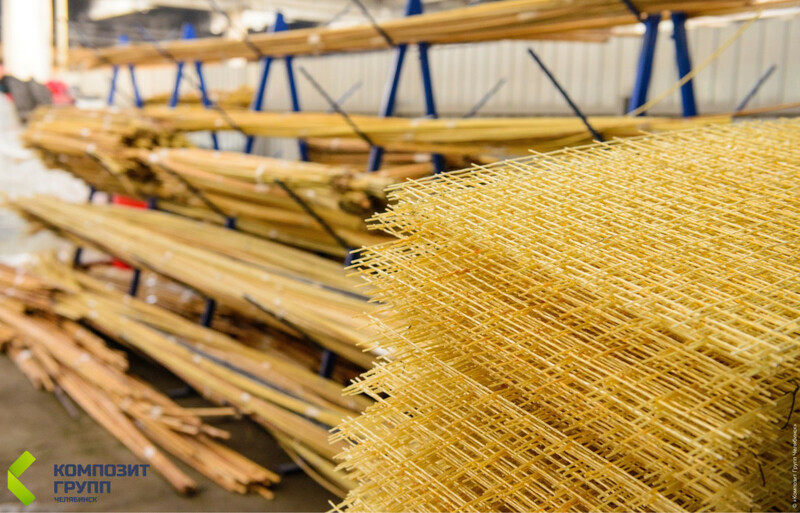 Fiber reinforced polymer (FRP) bar is 50% cheaper than its equal in strength steel counterparts; use of fiber reinforced polymer (FRP) bar allows to reduce costs of delivery, assembly and handling operations. 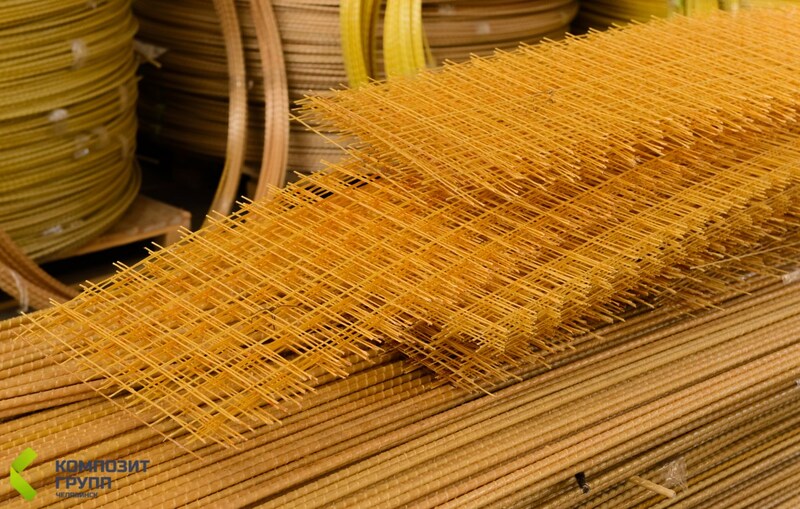 Fiber reinforced polymer (FRP) bar is 1.5-2.5 times stronger than steel rebar in terms of tensile strength provided it has equal diameters. 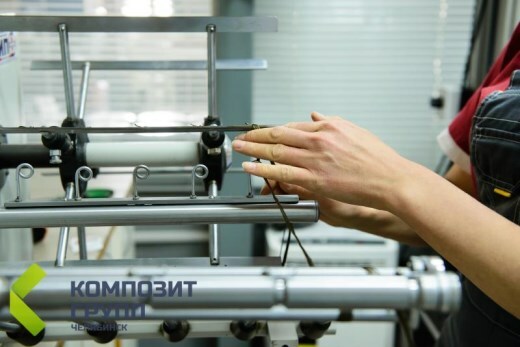 The Quality Control Department makes visual inspections of Products; samples are taken on regular basis. Tests are conducted in laboratories. 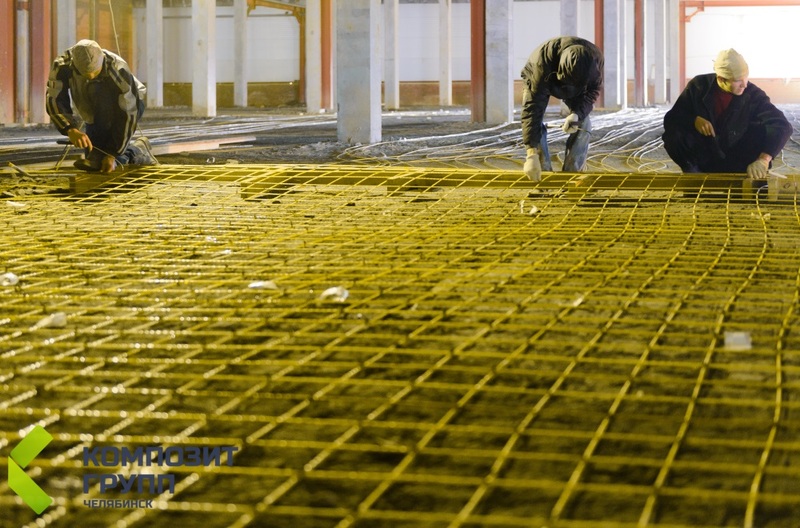 The weight of Fiber reinforced polymer (FRP) bar is 3.5-4 times less than that of steel rebar provided they have equal diameters and 8-10 times less provided they have uniform strength diameters. 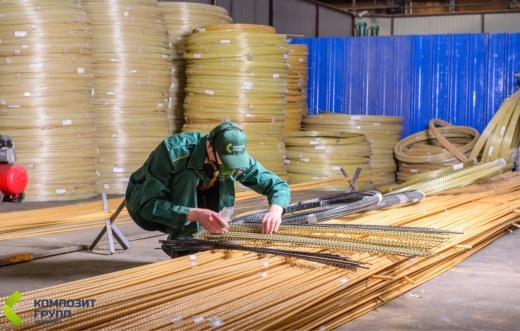 Fiber reinforced polymer (FRP) bar is manufactured in bars and coils of required length, thus you pay only for what you need. 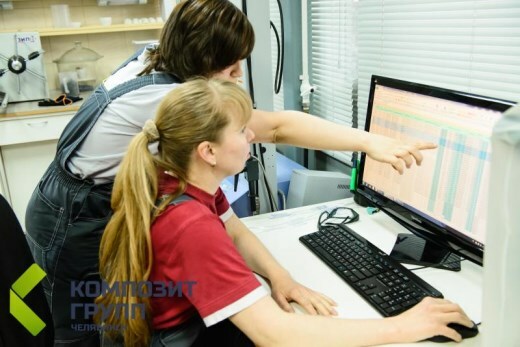 The Quality Management System ISO 9001-2011 functions at our Company. 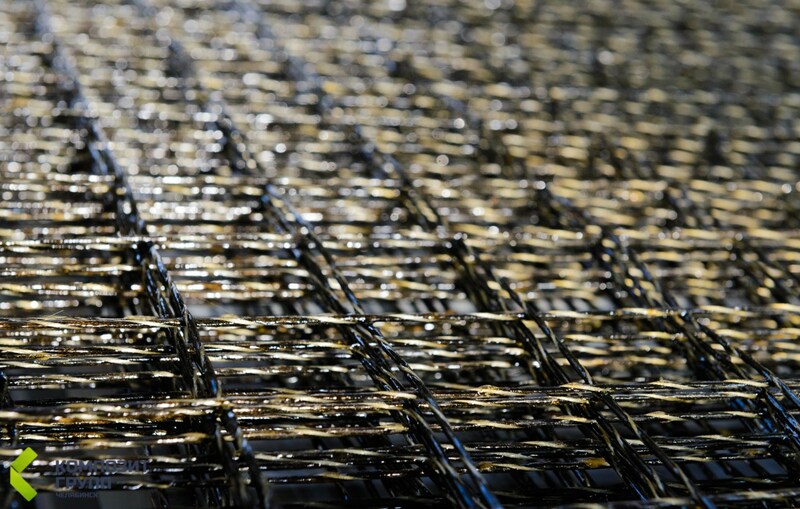 All incoming raw materials pass quality inspection. 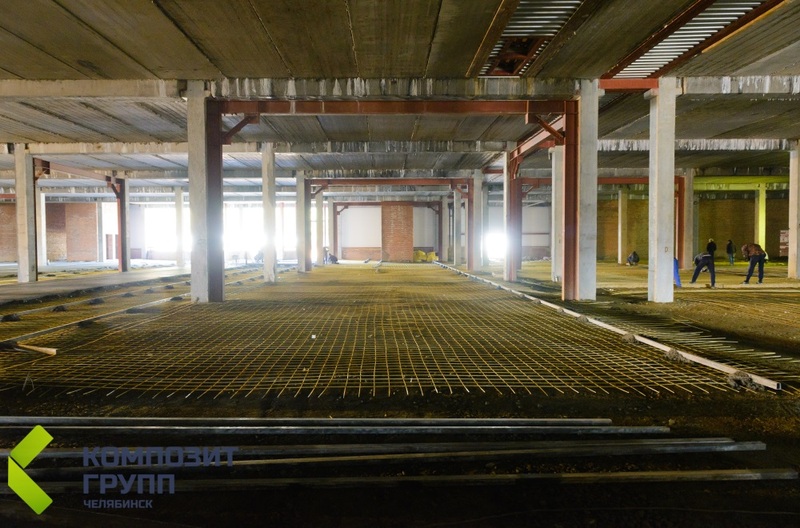 Fiber reinforced polymer (FRP) bar does not corrode and is resistant to alkalies, and acids, which allows to avoid cracking and destruction of concrete constructions. 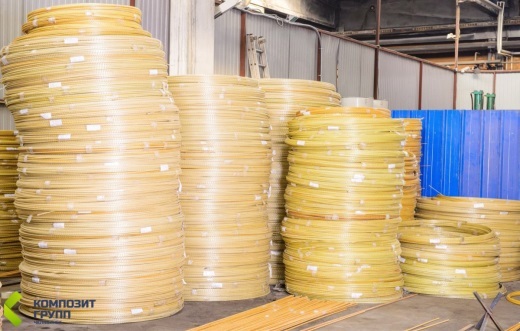 Fiber reinforced polymer (FRP) bar does not produce electromagnetic interference; it is dielectric, radiolucent, insensitive to magnetic radiation. 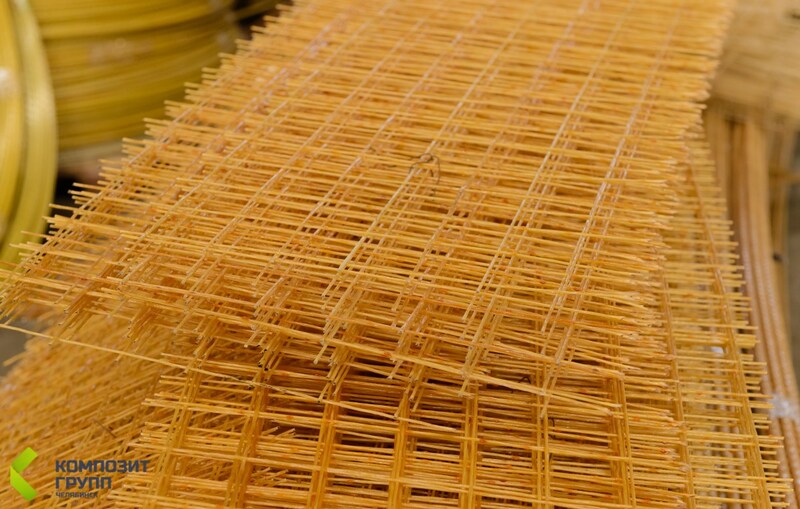 Fiber reinforced polymer (FRP) bar preserves its strength characteristics under the impact of low temperatures; operating temperatures range from -70°C to +100°C. 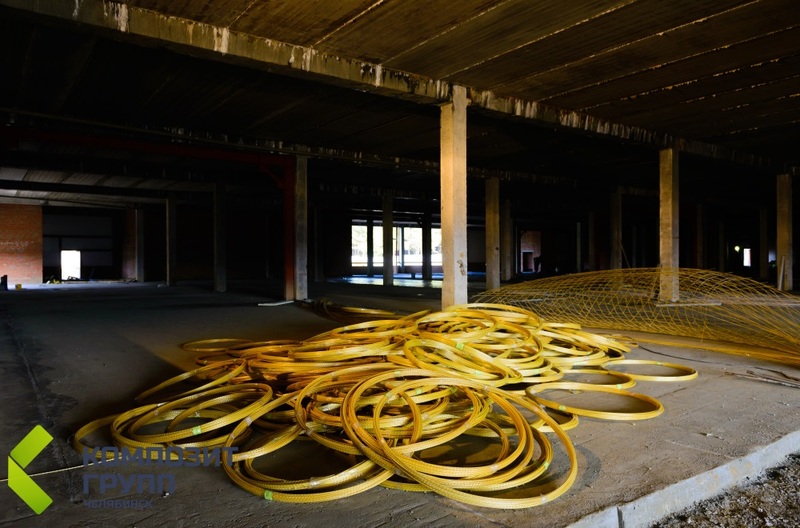 Fiber reinforced polymer (FRP) bar is flameproof, since it is manufactured from a noncombustible material. 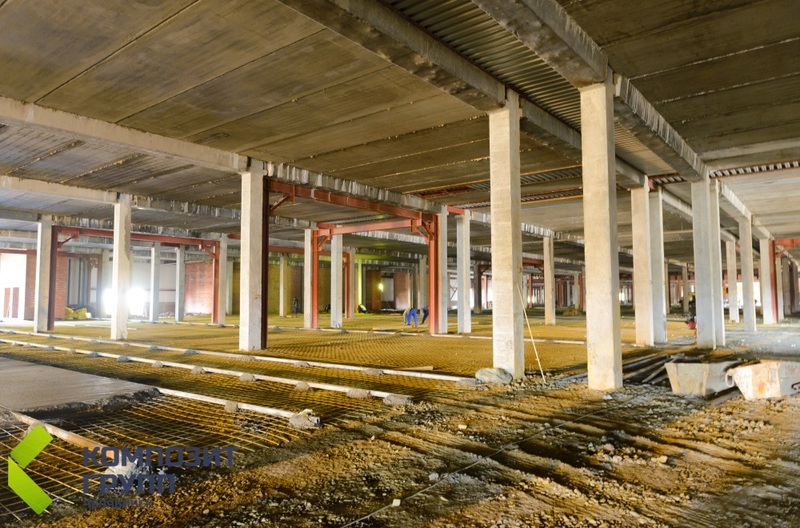 Operating temperatures range from -70°C to +600°C inside the concrete. 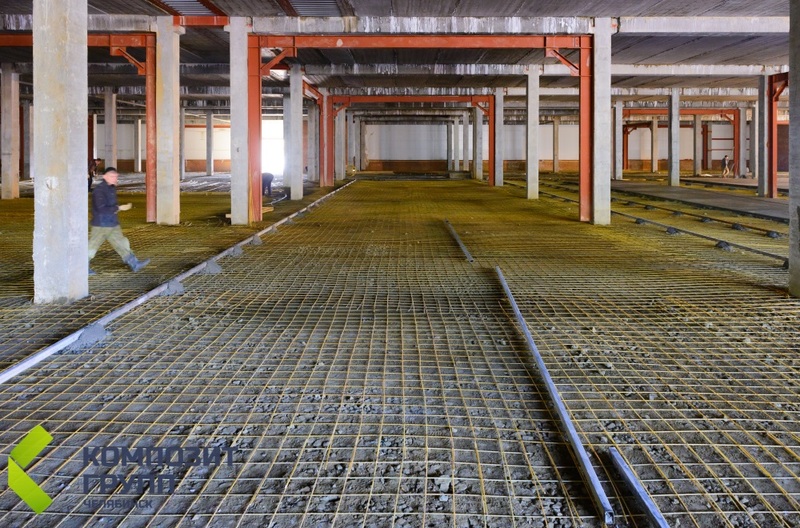 Fiber reinforced polymer (FRP) bar serves longer; its working lifespan is at least 80 years. 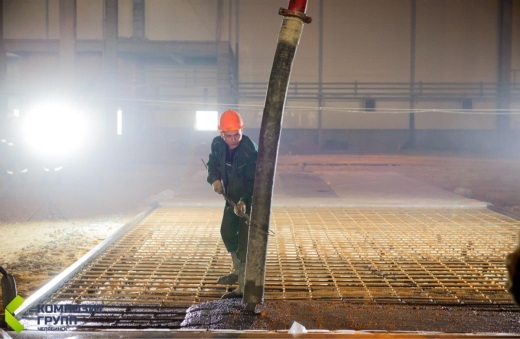 The thermal-expansion coefficient of Fiber reinforced polymer (FRP) bar is similar to that of concrete, therefore Fiber reinforced polymer (FRP) bar does not destroy concrete. 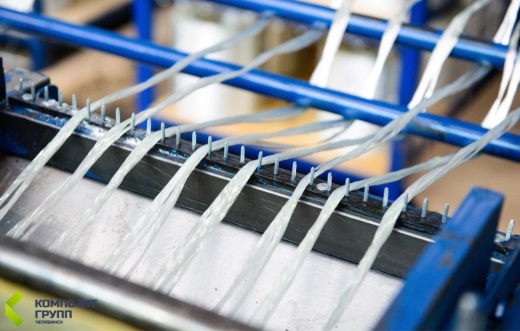 Fiber reinforced polymer (FRP) bar preserves strain and bending resistance, does not lose straightness when coiled. 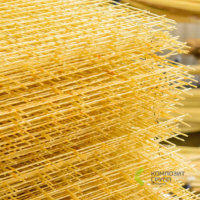 Fiber reinforced polymer (FRP) bar is easier to transport: when the diameter is less than 10 mm, it is supplied in coils. 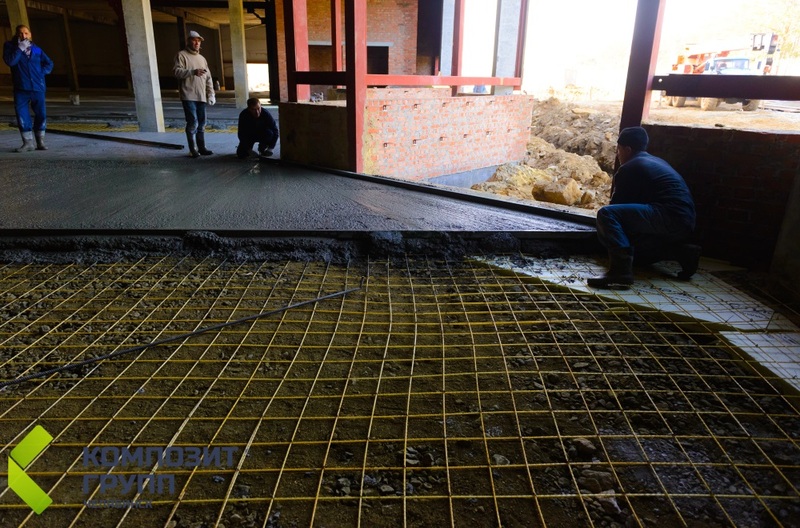 Fiber reinforced polymer (FRP) bar is easy to install, the joining of rebar can be performed by workers with minimal use of materials and tools. 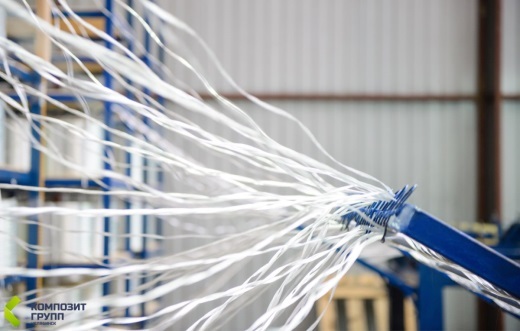 Fiber reinforced polymer (FRP) bar is easy to cut; one can cut it with an angle grinder, and for cutting the rebar of small diameters scissors or cutting pliers can be applied. 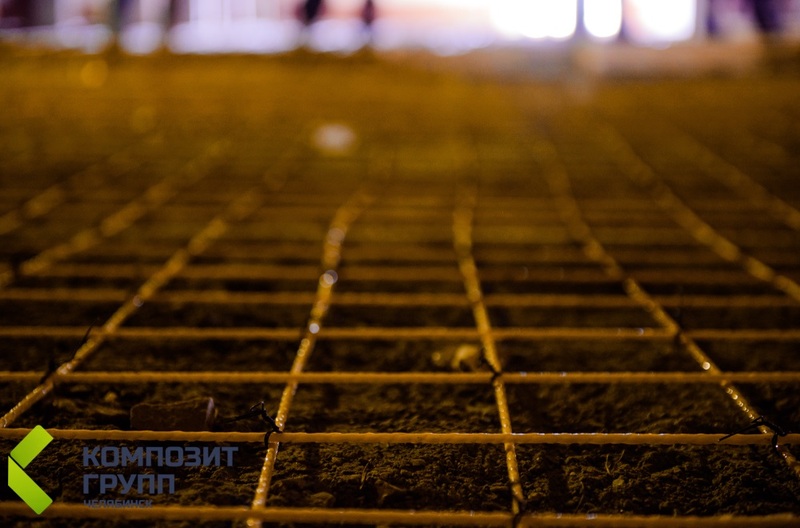 Rebar from composite materials combines high strength with relatively small specific weight. 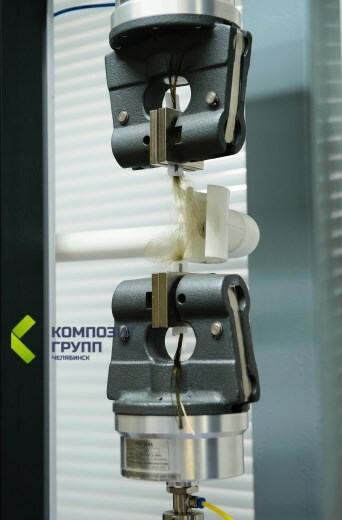 Its tensile strength is from two and a half to three times higher, while its specific weight is four times less in comparison with metal reinforcement. 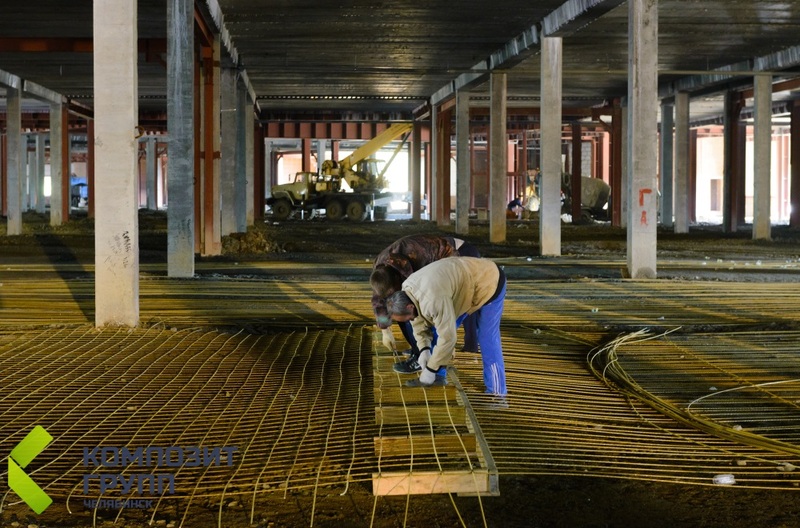 Due to this fact, even when it is required to create a manifold safety margin of the construction, the total weight of the necessary composite rebar proves to be less than that of metal rebar. 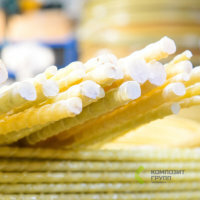 The most widespread material used to manufacture bars for composite reinforcement is produced of polymer fiberglass, hence reinforcing bars made of it are commonly referred to as GFRP (Glss Fiber Reinforced Polymer bar). 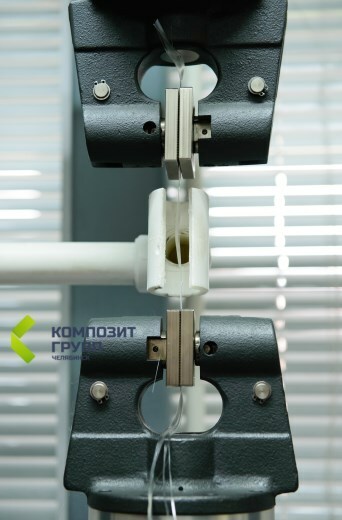 See more information about Glass Fiber Reinforced Polymer bar (GFRP). 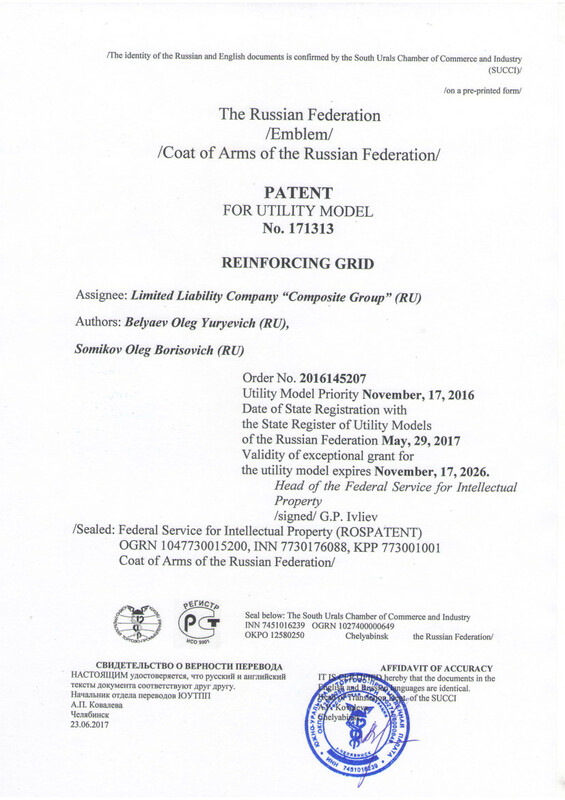 Download the presentation on Glass Fiber Renforced Polymer bar (GFRP) (PDF, 3.5МБ). 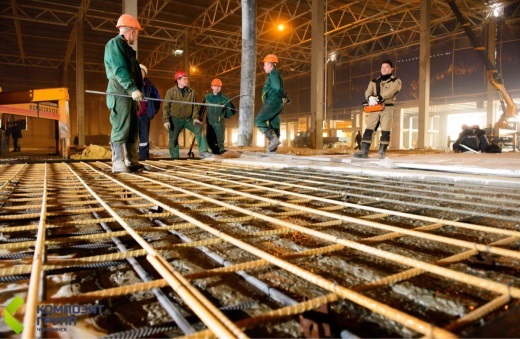 It is 3.5-4 times lighter than steel rebar provided they have equal diameters and 8-10 times less provided they have uniform strength diameters. 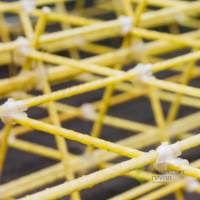 It is 1.5-2.5 times stronger than steel rebar in terms of tensile strength with the same diameter. It serves long, its working lifespan is at least 80 years. 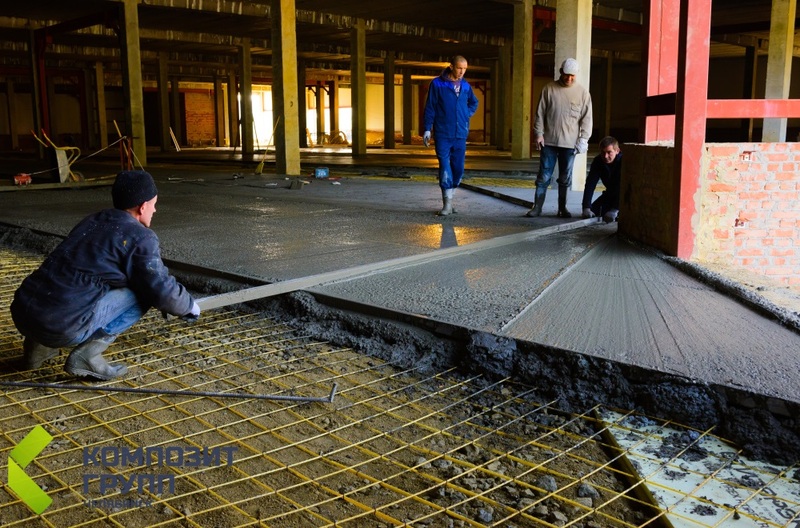 It does not corrode and is resistant to alkalies, and acids, which allows to avoid cracking and destruction of concrete constructions caused by internal stresses that appear as a consequence of corrosion of steel reinforcement bars. 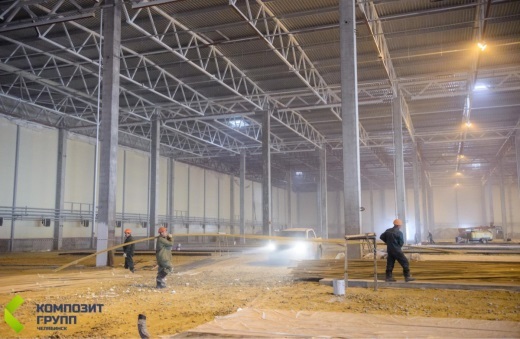 It has low thermal conductivity and does not produce electromagnetic interference, therefore use of this material for building construction purposes ensures that there will be no maintenance problems related to occurrence of electromagnetic interference. 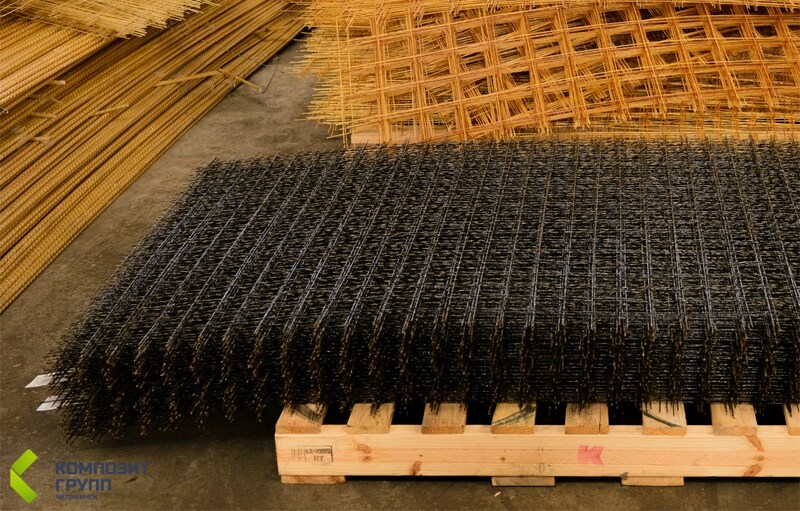 Using composite rebar allows to save 50% compared to costs of using its equal in strength steel counterparts; saving is ensured not only by reduction of purchasing cost for the material itself, but also by cutting costs of delivery, assembly and handling operations. 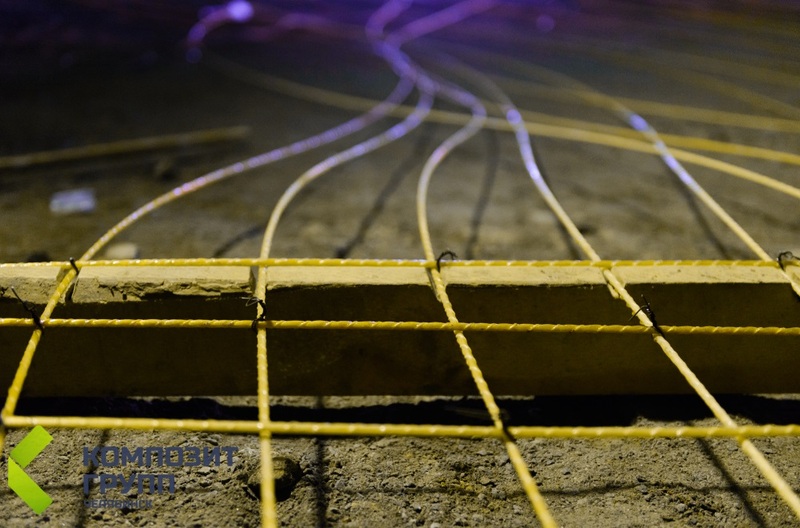 Composite rebar is easier and cheaper to ship: when the diameter is less than 10 mm, it is supplied in coils, which weigh 8-10 kg each, so that such coils can be easily transported in the trunk space of a passenger car or in a minivan. It preserves its strength characteristics under the impact of low temperatures; operating temperatures range from -70°C to +100°C. It is flameproof, being manufactured from a noncombustible material. 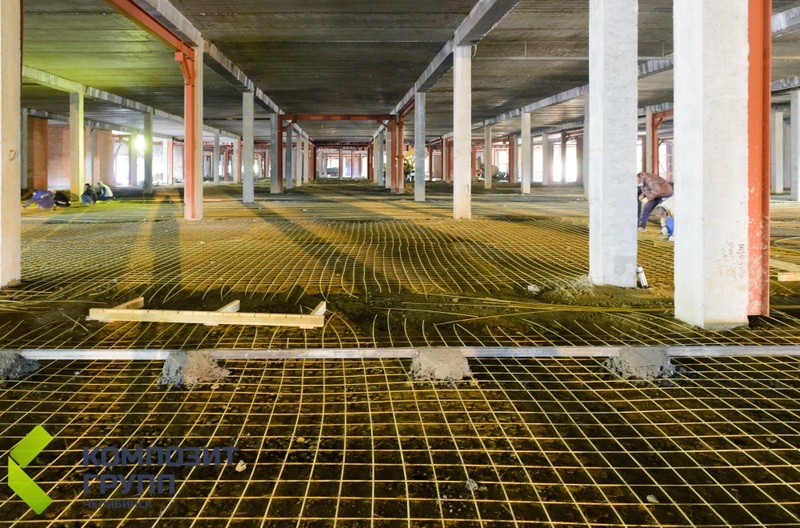 Operating temperatures range from -70°C to +600°C inside the concrete. 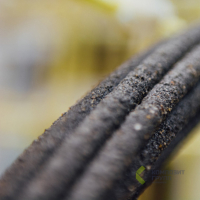 Composite rebar is manufactured in bars and coils of required length, thus you pay only for what you need. 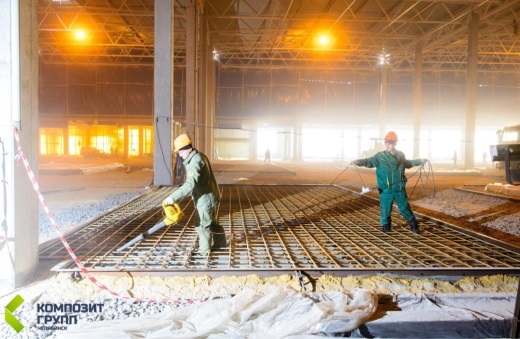 Its thermal-expansion coefficient is similar to that of concrete, therefore composite rebar does not destroy concrete, unlike metal rebar, which gradually distorts concrete, when the temperature rises due to the difference of thermal longitudinal expansion coefficients. 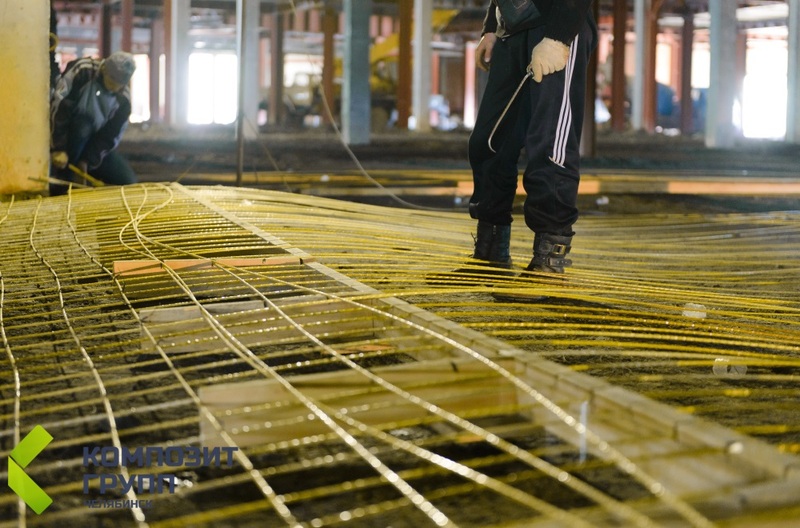 Composite rebar preserves strain and bending resistance, does not lose straightness when coiled. 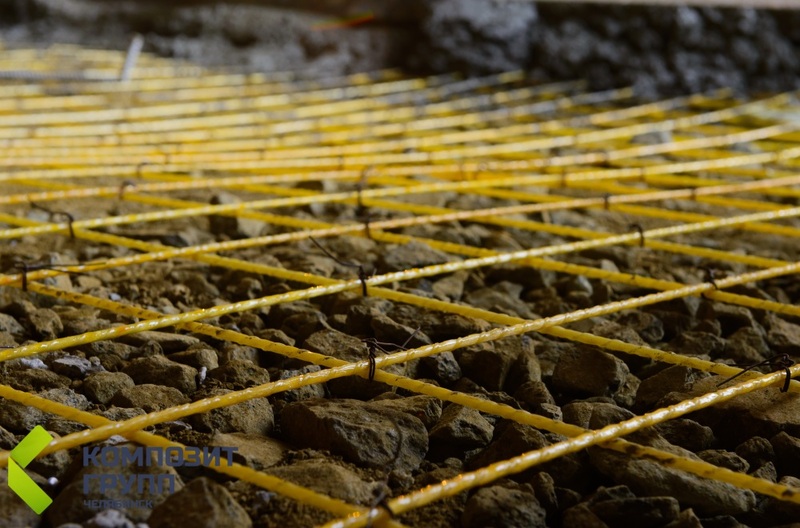 Composite rebar is easy to install, the joining of rebar can be performed by workers with minimal use of materials and tools. 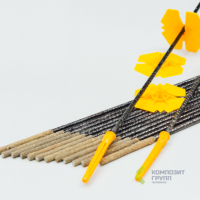 Composite rebar is easy to cut; one can cut it with cutting-off tools, and for cutting the rebar of small diameters scissors or cutting pliers can be applied. 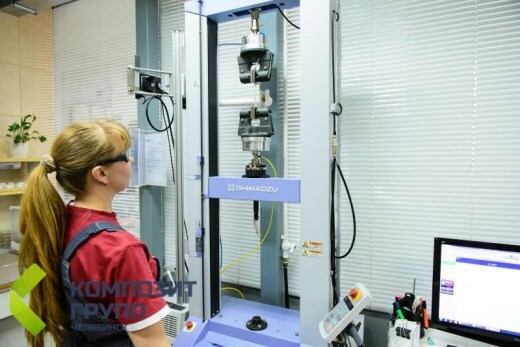 «Composite Group Chelyabinsk» is a research and production company engaged in development of composite reinforcing elements and production of construction composite (non-metallic) rebar and joint construction materials. 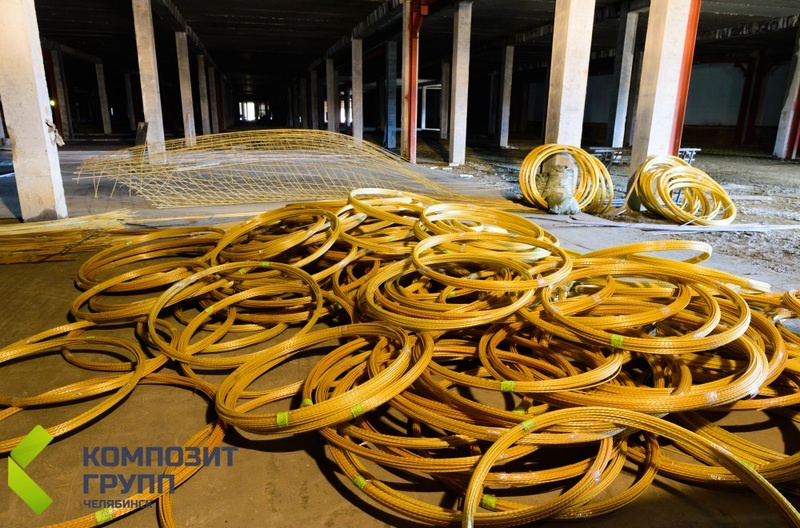 The Company is focused on sales of composite fiberglass rebar in Chelyabinsk, in Russia and CIS countries, both by wholesale and retail. 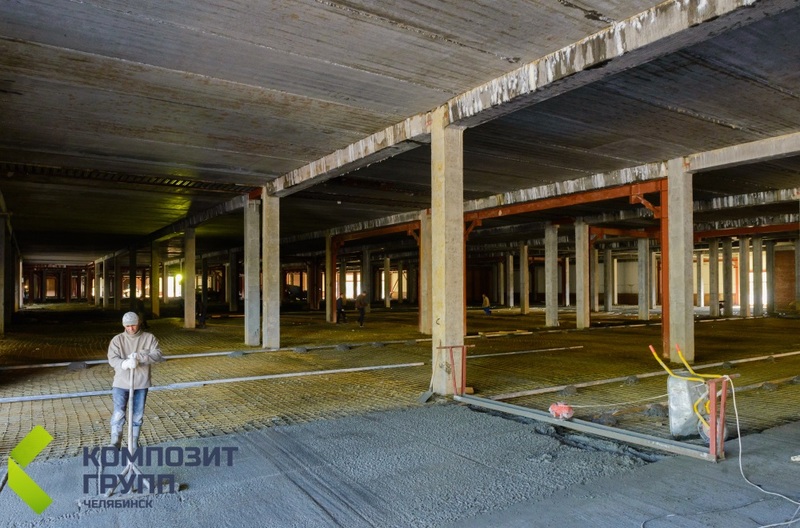 In 2012 production was launched in Chelyabinsk. 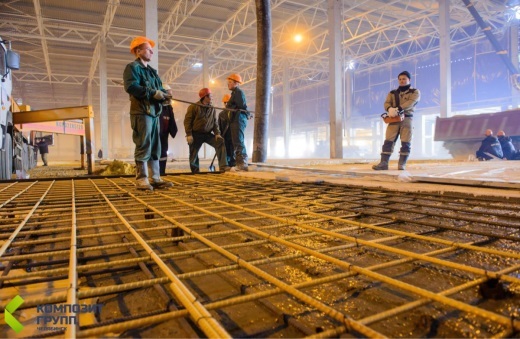 Price of fiberglass rebar is significantly lower than price of metal rebar, accordingly, economic benefits of the new technology created excellent conditions for it to be actively promoted in construction industry. 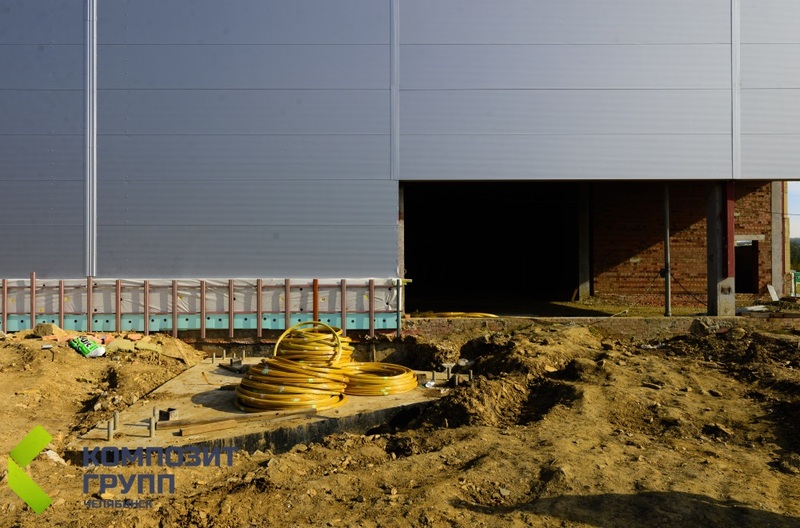 Since 2013 we also sell facade concrete inserts and flexible couplings. 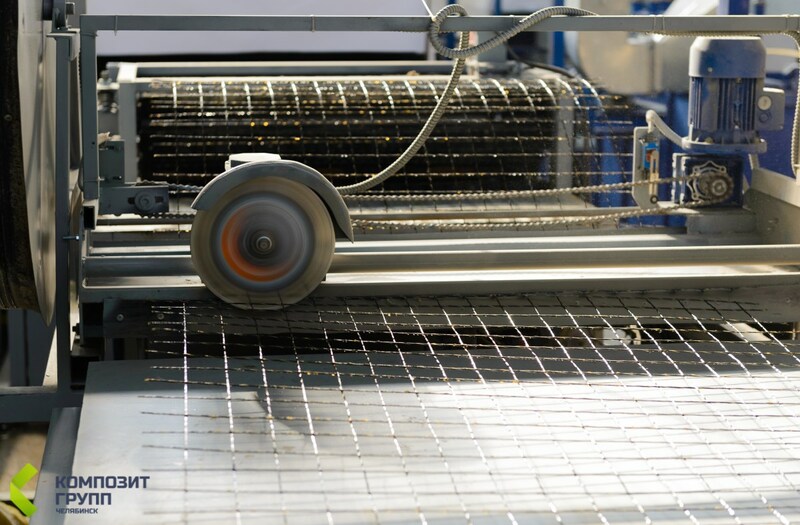 We started production of mesh reinforcement. 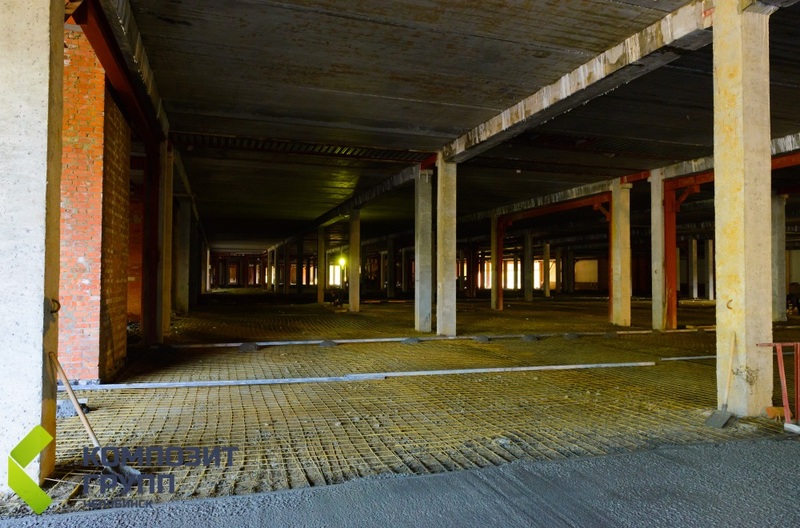 Our sales network has been constantly expanding, three sales departments work at construction markets of the city. 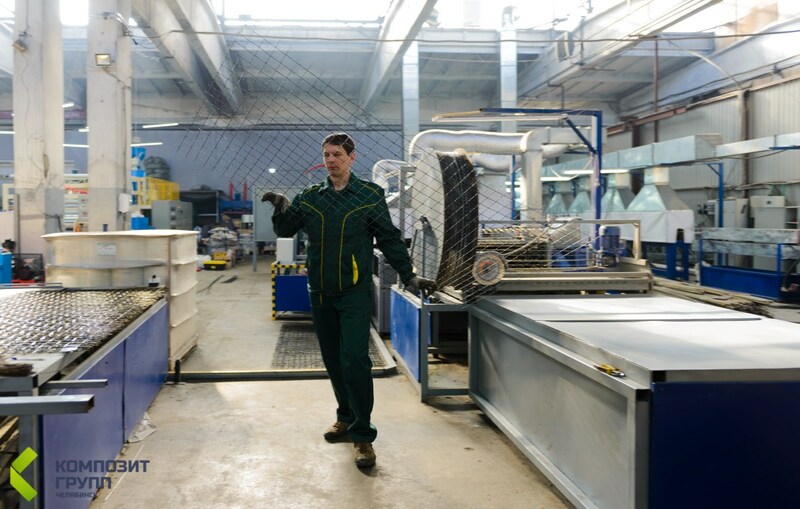 In 2014 the Company launched production of basalt glass fiber rebar and basalt fiber rebar. 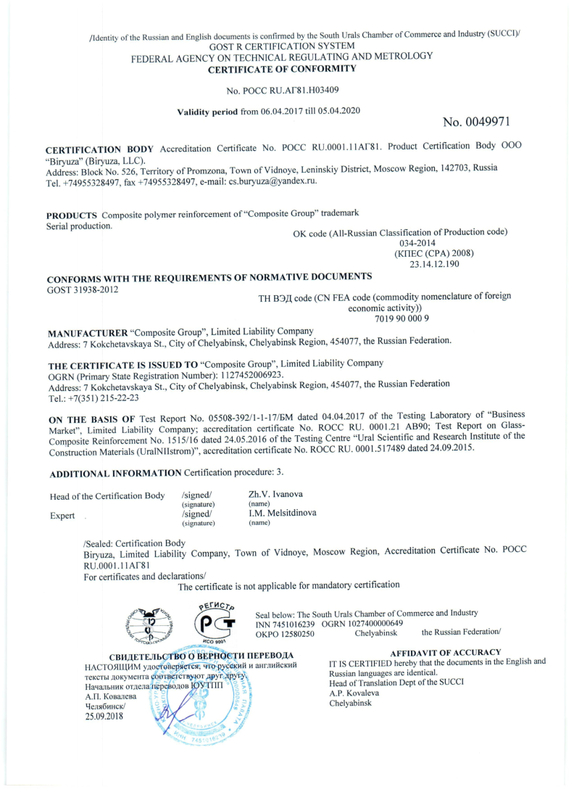 The Company received certificates of conformance, which prove that our production complies with international quality standards. 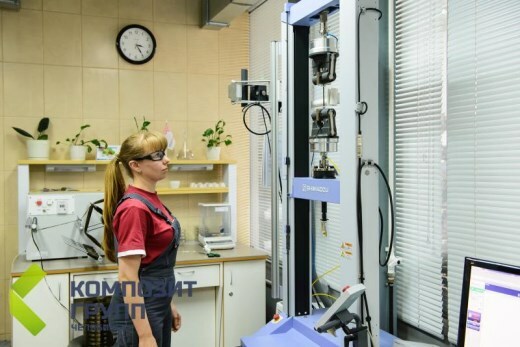 For more information about «Composite Group Chelyabinsk» and the Company production processes see. 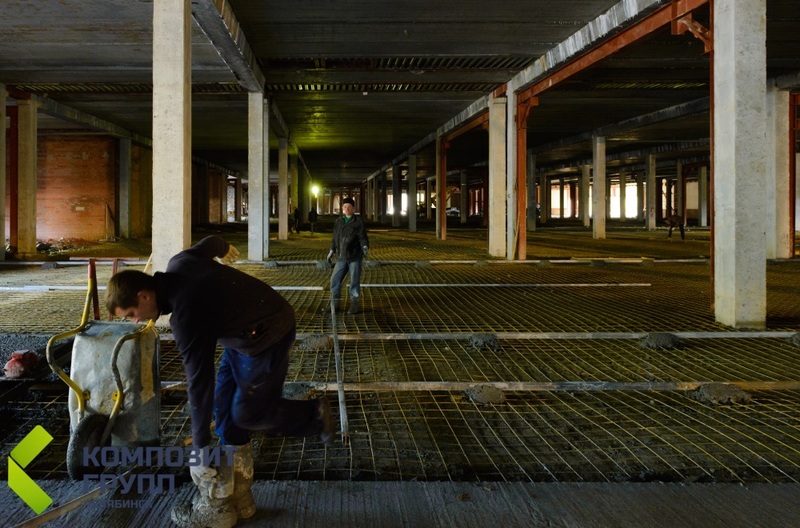 We offer beneficial cooperation to construction companies and trading firms that deal with construction materials. 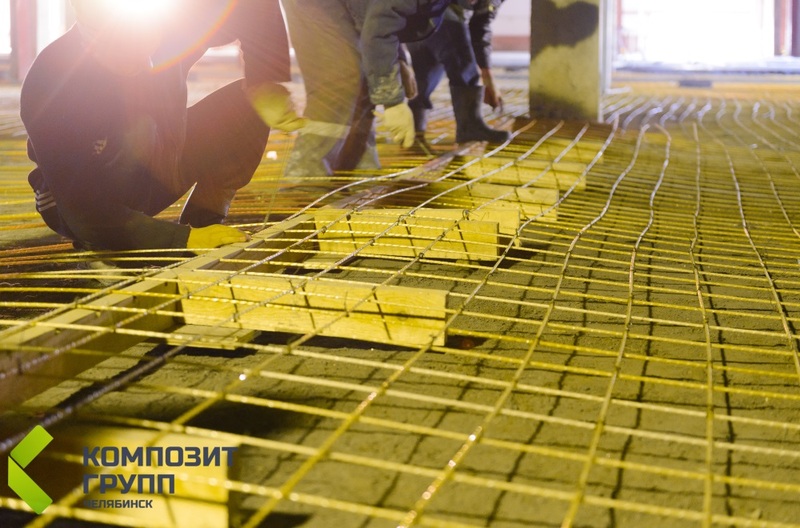 We supply fiberglass rebar and other composite reinforcement products from production premises in Chelyabinsk on special terms . 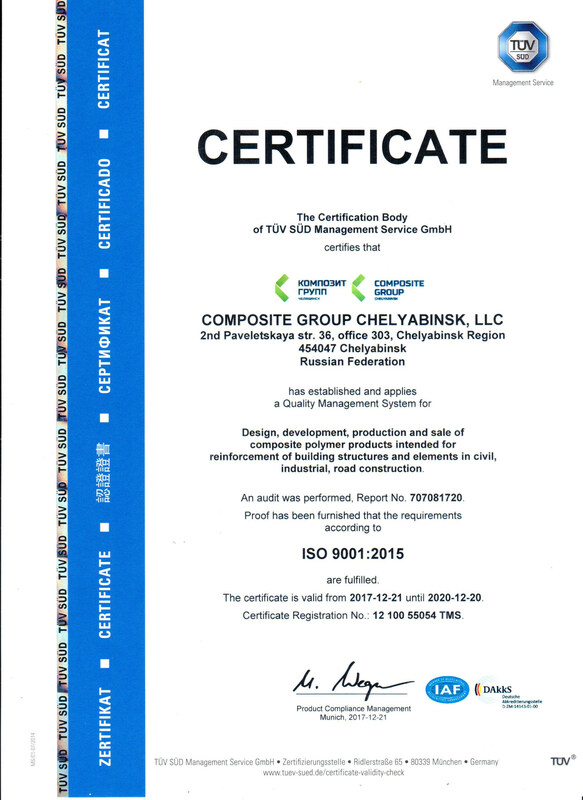 In 2017, following the development strategy accepted at the enterprise, COMPOSITE GROUP CHELYABINSK initiated implementation and application of the quality management system of ISO 9001:2015. 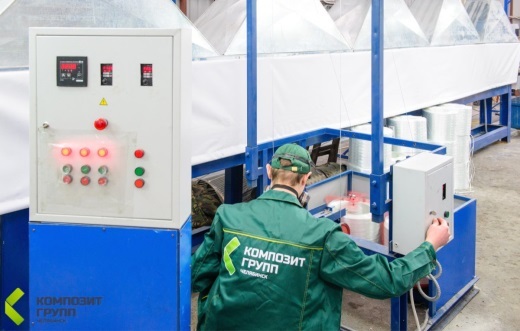 The most authoritative company in the field of examination, tests and certification in the world, the German expert entity TÜV SÜD was engaged as the expert auditor. 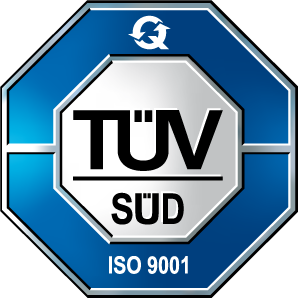 TÜV SÜD has a 150-year history. 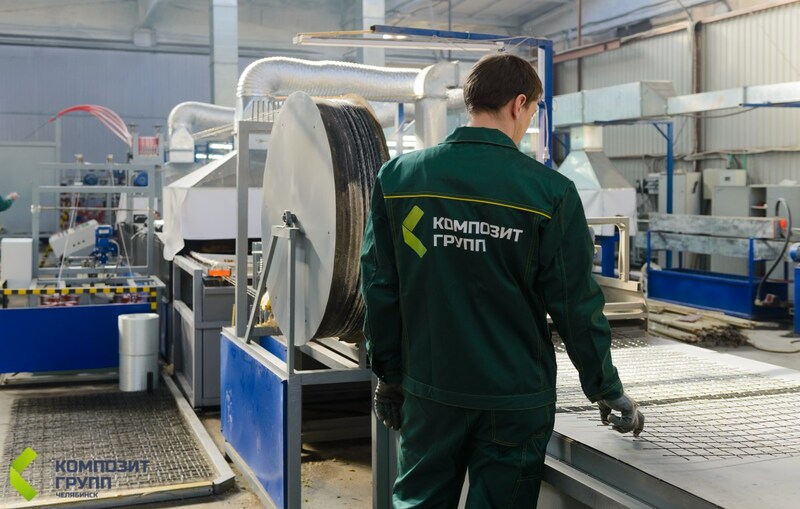 On December 21, 2017, COMPOSITE GROUP CHELYABINSK received a certificate for the following scope: Design, development, production and sale of composition polymeric products intended for reinforcing of building structures and elements in civil, industrial, and road construction. 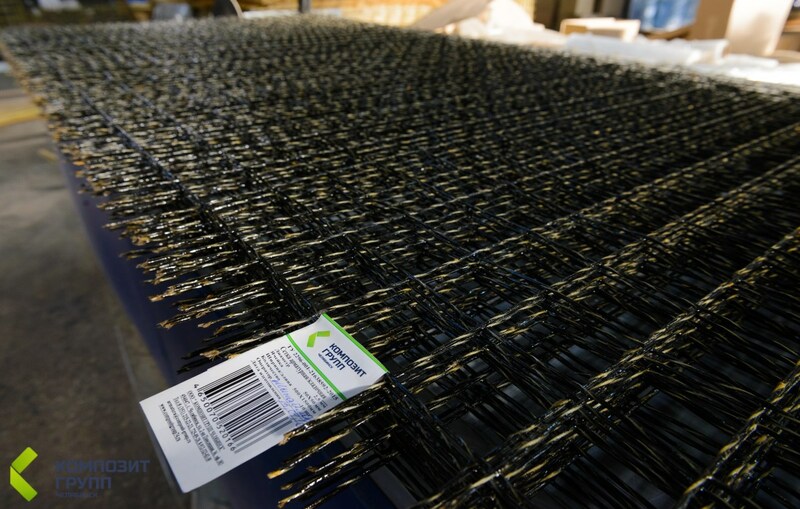 Production of composite rebar is a high-technology process. 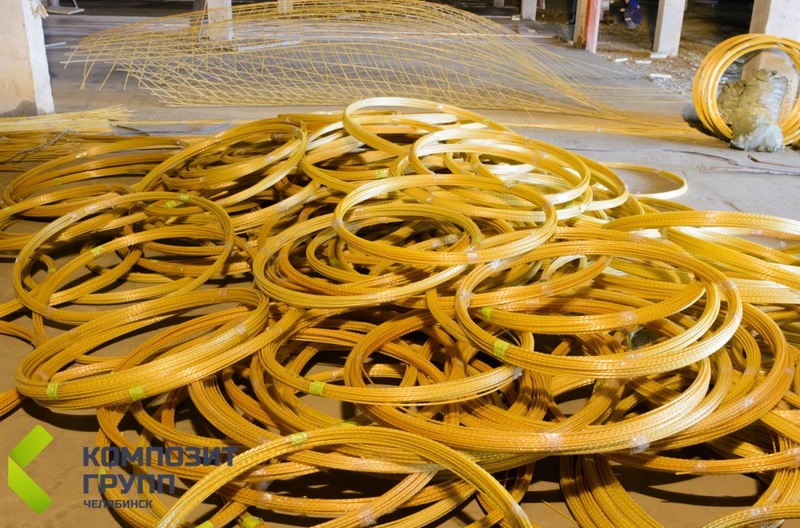 The main raw material used for it is glass roving, which is made of aluminoborosilicate glass. 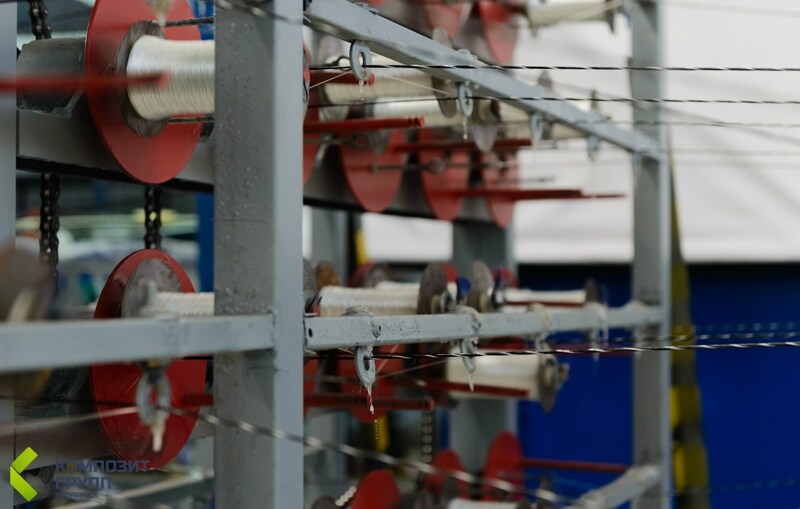 Roving filaments from the bobbin carrier go to the tightening device. Then they are dried and heated with hot air. 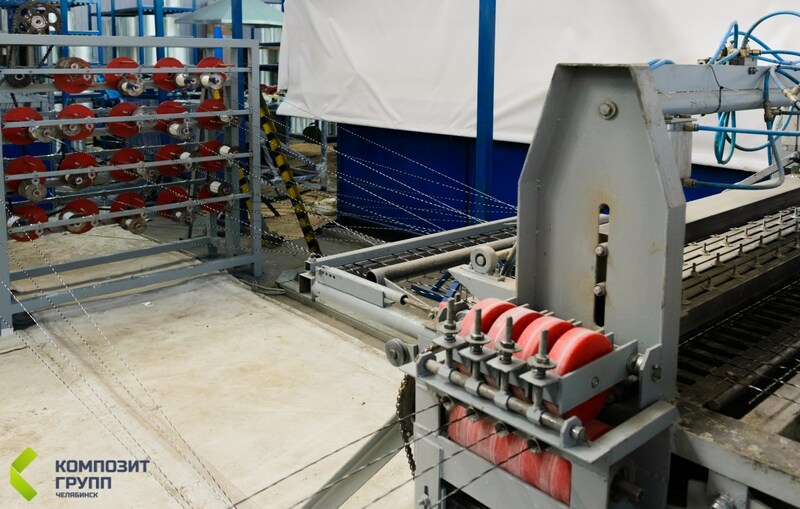 The heated roving is dipped into the impregnating bath, where it is stretched through filament extrusion devices to achieve the set point diameter of reinforcing bars. 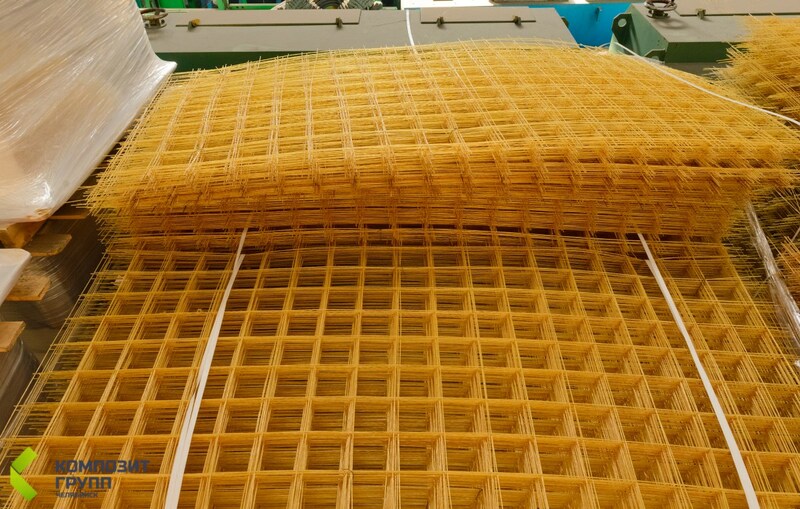 After the filament extrusion device the filaments go to winding devices, where a wound reinforcement bar is formed. 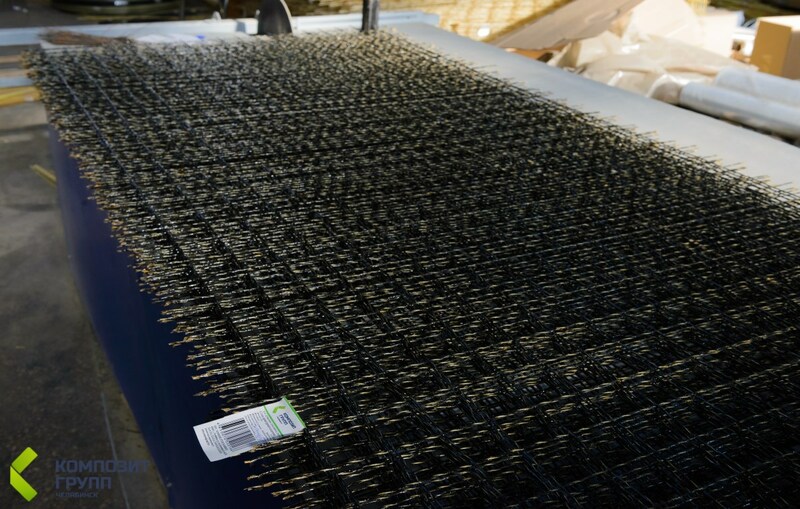 Reinforcing bars prepared on the winding device go through the tunnel-type furnace. Then hot rods go to the quenching bath, where they are fully cooled. 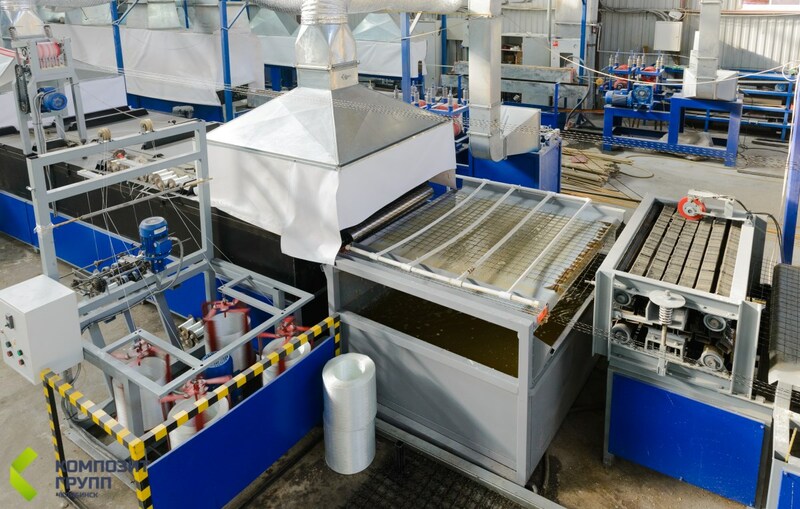 Cooled bars are run through the haul-off mechanism. The bars are cut-off as they leave the mechanism. 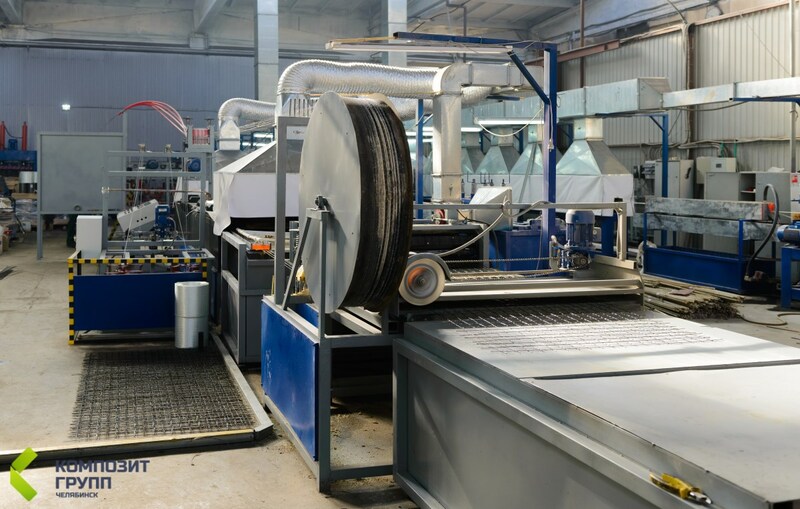 The fact that our company manufactures products on own production lines provides an opportunity for the company to deliver products even by large wholesale orders within best possible schedules. 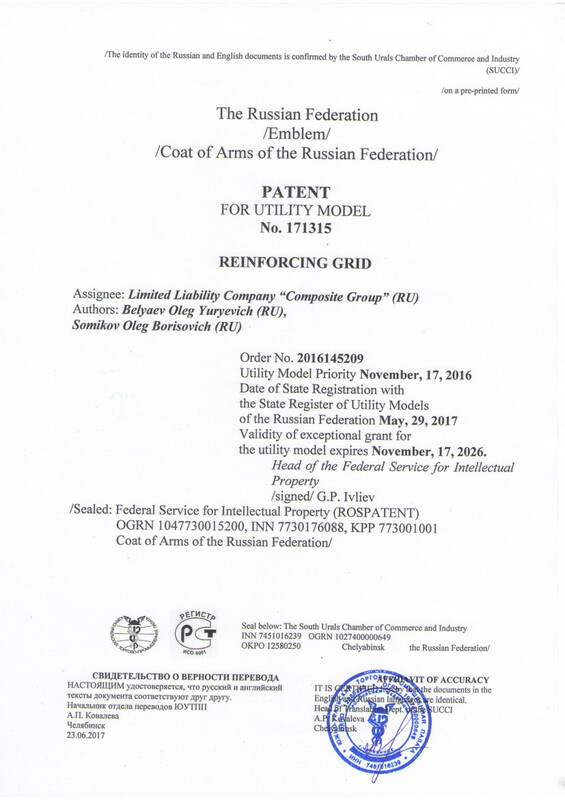 Products are manufactured in accordance with the state standard (GOST 31938–2012). 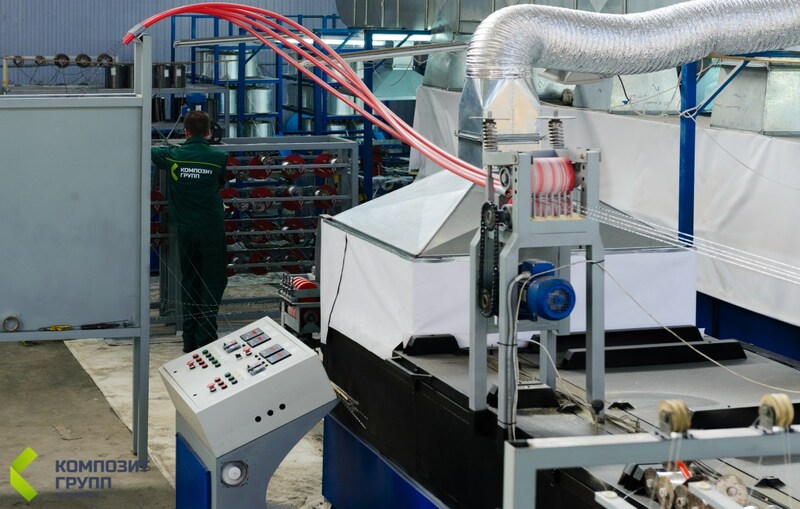 The production process is certified according to international quality management system standards and meets requirements of ISO 9001:2015. 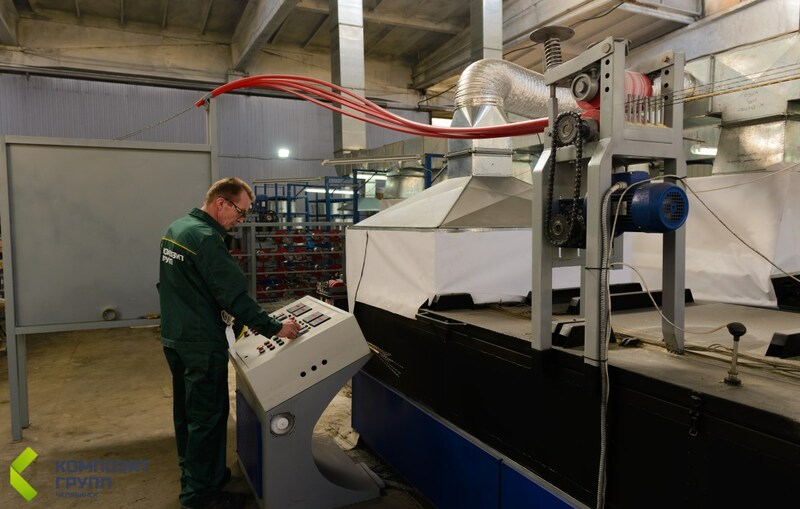 For more pictures illustrating production process see. 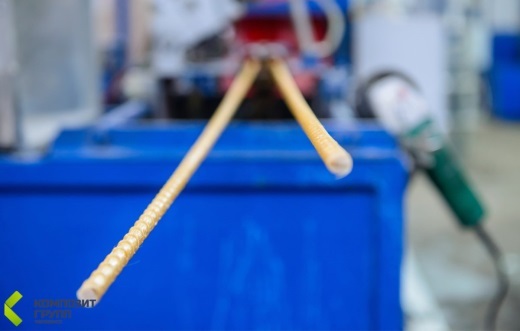 See a full photo-report on testing fiber reinforced polymer (FRP) bar and raw materials. 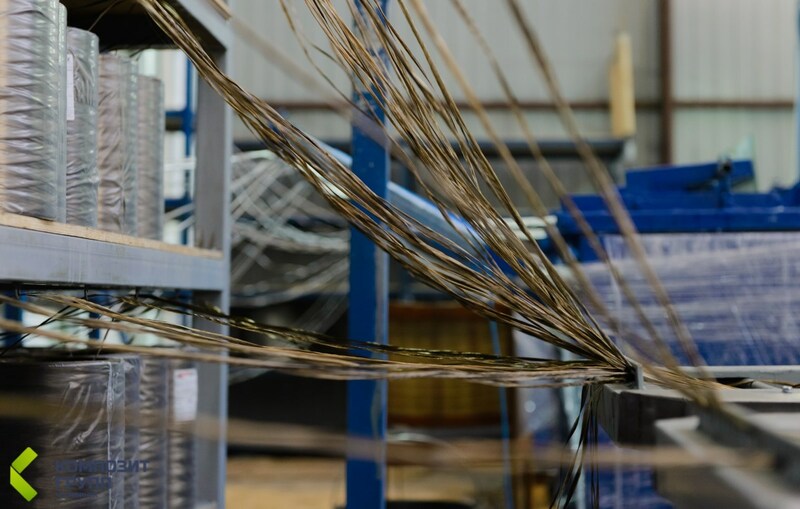 It is recognized that the major characteristic of composite rebar is its tearing properties, and by this parameter the composite rebar is three times better than metal rebar. 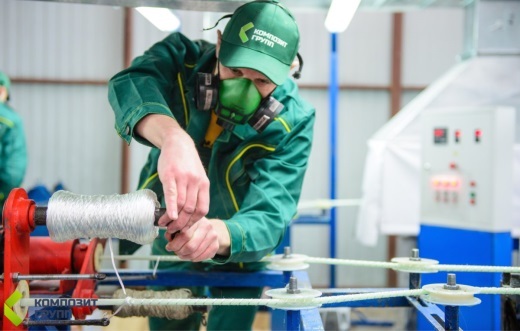 Few people make account of the fact that tearing properties of the finished product are based on using the roving in the production process for manufacturing composite rebar. 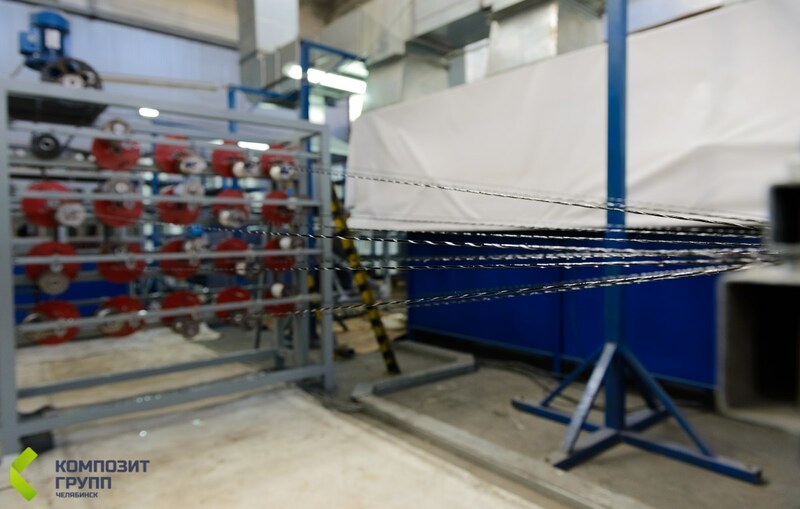 It is the roving that gives composite rebar such properties, and we test tearing properties first of all before using certain raw materials in production. 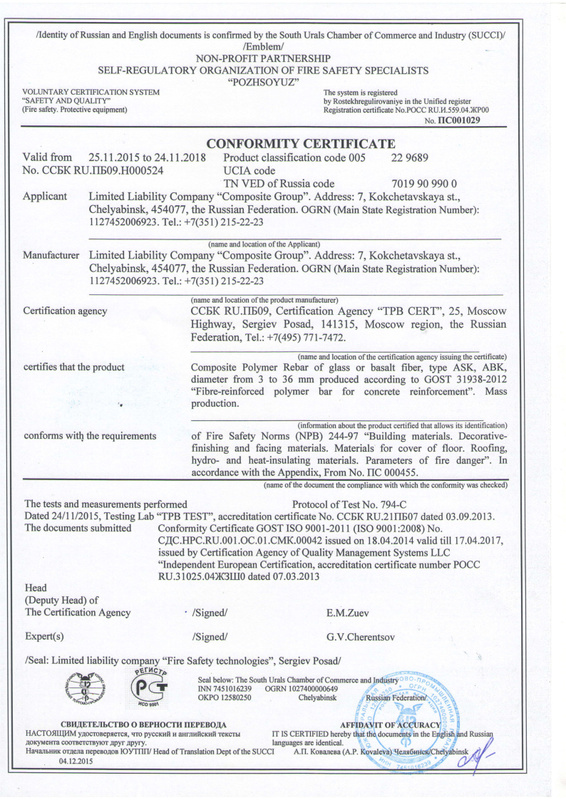 Quality Management System ISO 9001-2011 is in effect in our company. 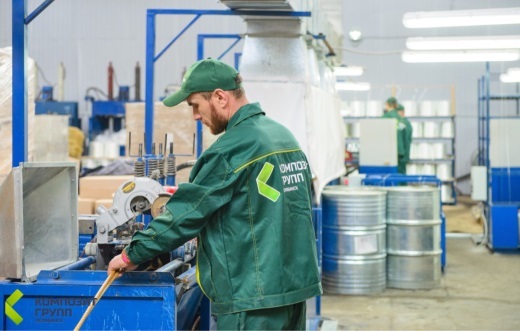 All raw materials that arrive at the Company passes quality control on the basis of the laboratory operating in the same industrial site. 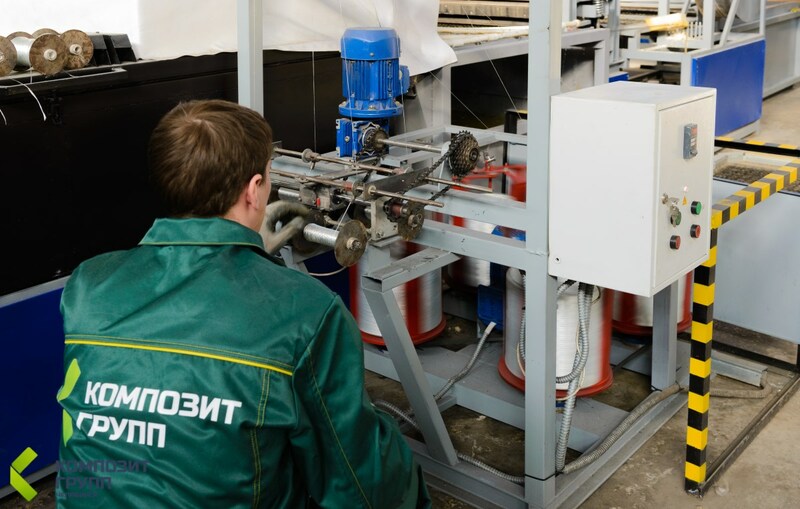 The laboratory is run by our business partner, the company "MELTROC" (meltrock.ru). 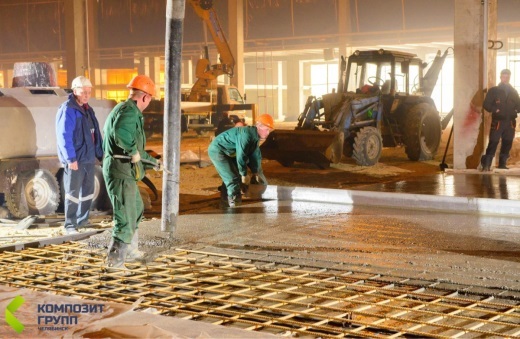 All finished products are examined by the Quality Control Department of our company against their external characteristics. 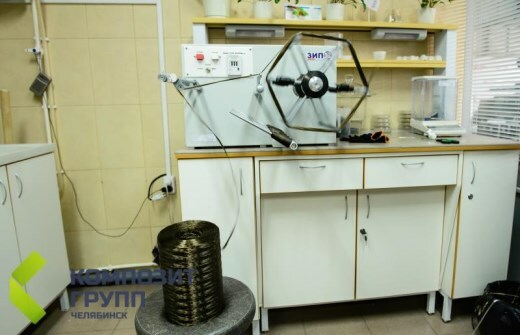 Besides, we constantly perform products test samples, conduct laboratory tests. 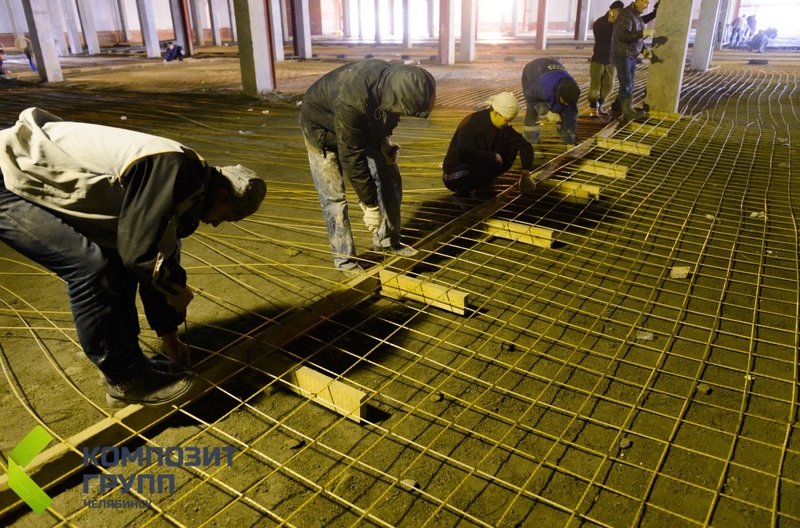 For this purpose we signed agreements about continual cooperation with the research and development institute of construction materials and the laboratory of construction materials of the South Ural State University. 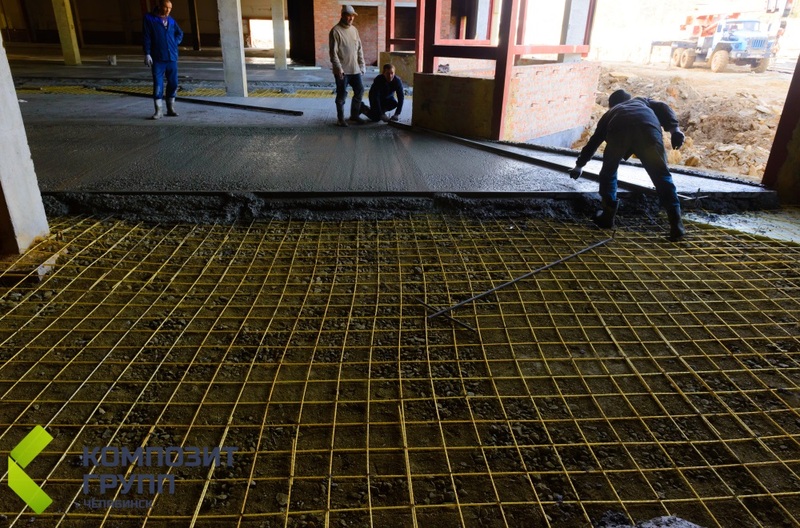 See the full photo report of the test composite reinforcement. 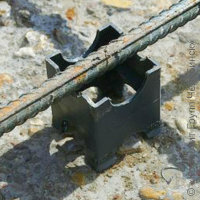 For more pictures illustrating rebar applications see . 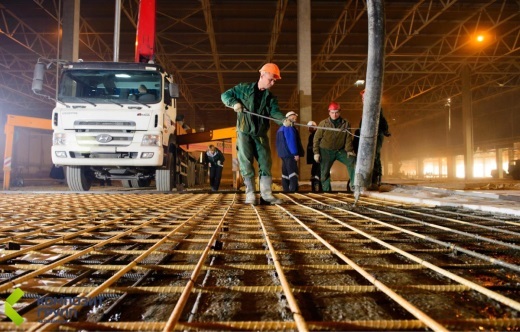 Application sphere of composite rebar is vast: it can be used to reinforce both road pavements and the house footing of low rise buildings. 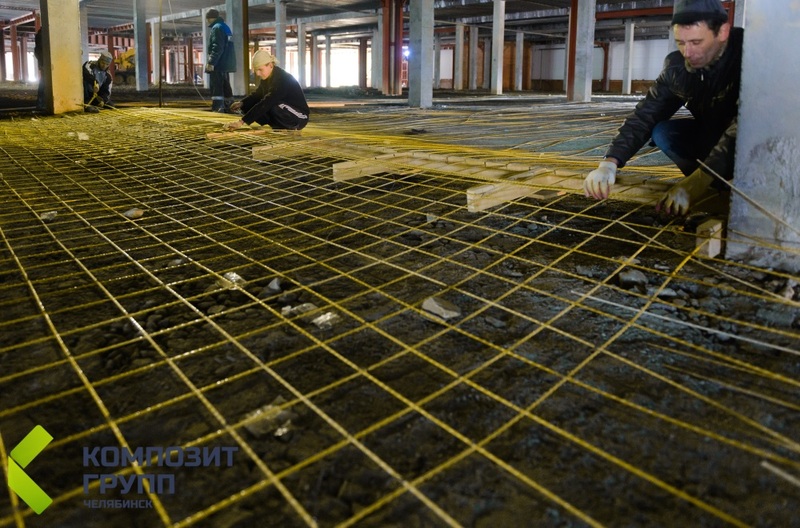 Working lifespan of buildings in case there was used composite rebar is several times more in comparison with buildings, for which metal reinforcing bars were used. 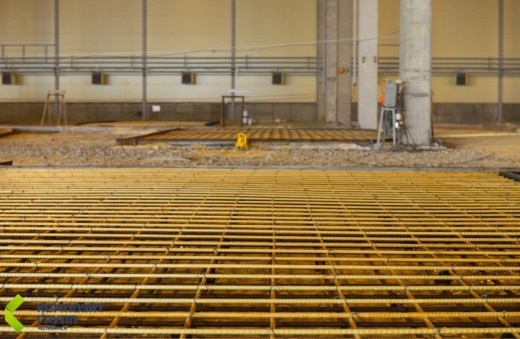 Composite rebar is stabile, i.e. it does not corrode. 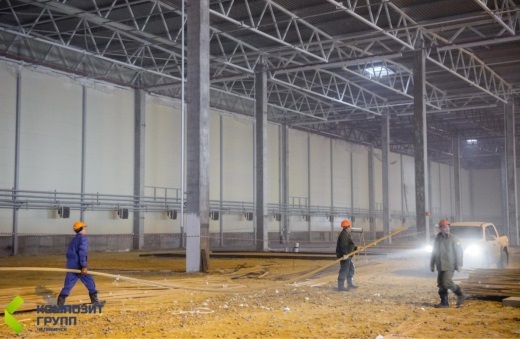 It is especially important for building and construction work conducted in corrosive environment, which contains chloride salts and other chemically active substances. 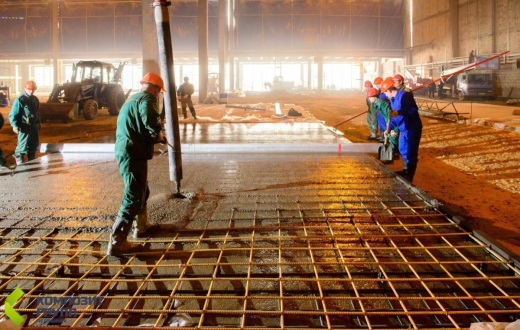 It is often used when reinforcing underlayment of production workshops and warehouses, and buildings of chemical industry, as well as when reinforcing coastal and off-shore facilities. 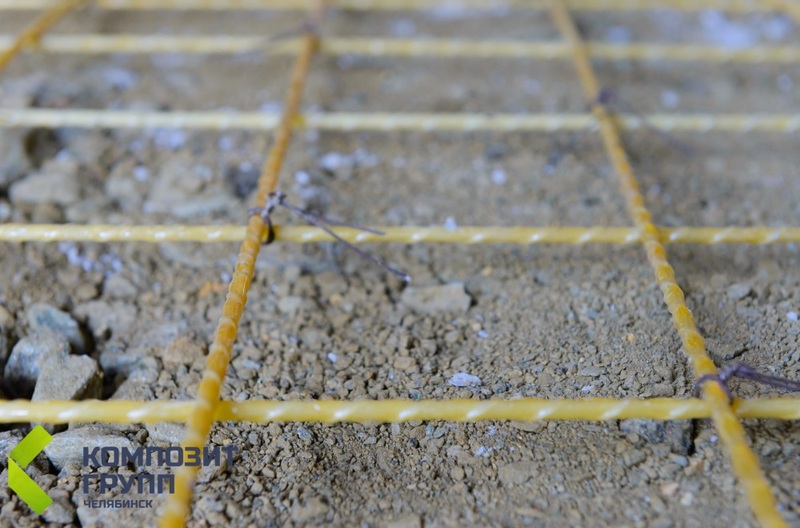 In the form of mesh and bars composite rebar is appropriate for reinforcing concrete constructions. 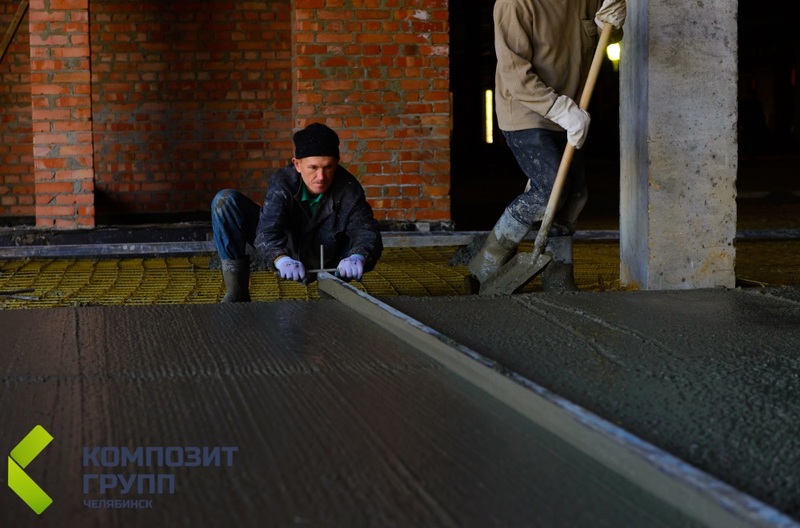 It is used to produce flexible coupling of three-layered walls for stone buildings and constructions made of other materials. 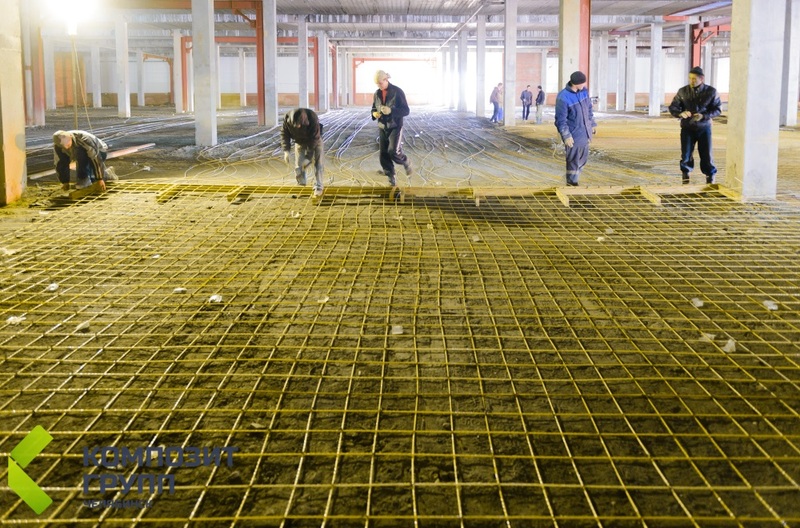 Composite rebar is used when building sewage and irrigation constructions, performing layered brickwork, establishing so called seismic resistance belt for buildings, working with concrete, which has prestressed or stressed reinforcement; the latter includes work with power transmission line supports, and products applied for constructing manifold groups. 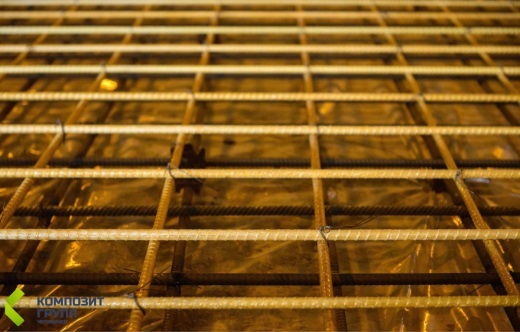 Composite Fiberglass Rebar is a unique reinforcement material, and its application scope is not limited to industrial and civil engineering. Its technical characteristics allow to apply it in many other spheres as well. 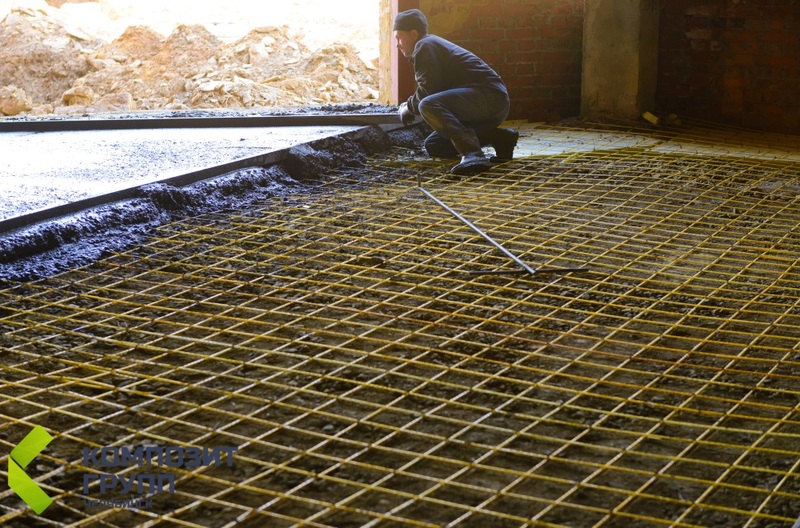 Our web-site allows to buy rebar at a profit, study the catalogue of our products with photographs and videos, prices, and detailed descriptions. 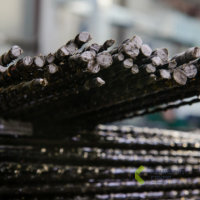 Reinforcing bars – sales at retail and by wholesale, delivery included, in Chelyabinsk, Chelyabinsk Region, Russia and countries of CIS. 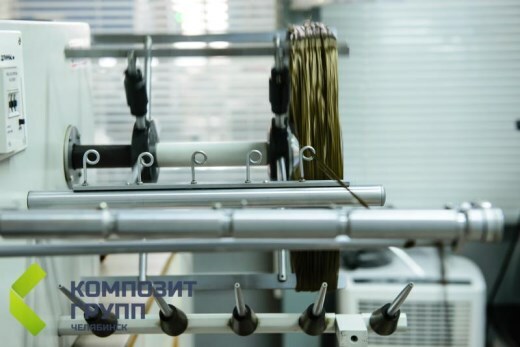 © LLC Composite Group Chelyabinsk — production and sales of composite fiberglass rebar. Tel. : +7(351)2163300 (ENG). E-mail: armatura@composit-group.ru.